For the first time in English, pastors, scholars, and historians can explore a crucial text in the process of the ongoing reformation of the German churches. The 1569 Braunschweig-Wolfenbüttel Church Order (Chemnitz’s Works Vol. 9) was prepared by Martin Chemnitz and Jacob Andreae, two men who would go on to craft the Formula of Concord. 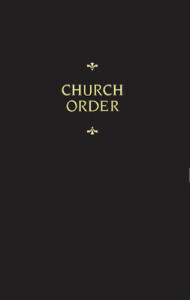 This Church Order reveals not only what those who confessed the Augsburg Confession believed, but how the Lutheran Reformation put that faith into action and handed down the faith by means of orderly worship, church governance, and education. In a modern context, this volume’s combination of doctrine and practice may provide new solutions for the church’s challenges regarding Christian education, formation of Christians who stand in their confession against worldly influences, and congregational leadership.